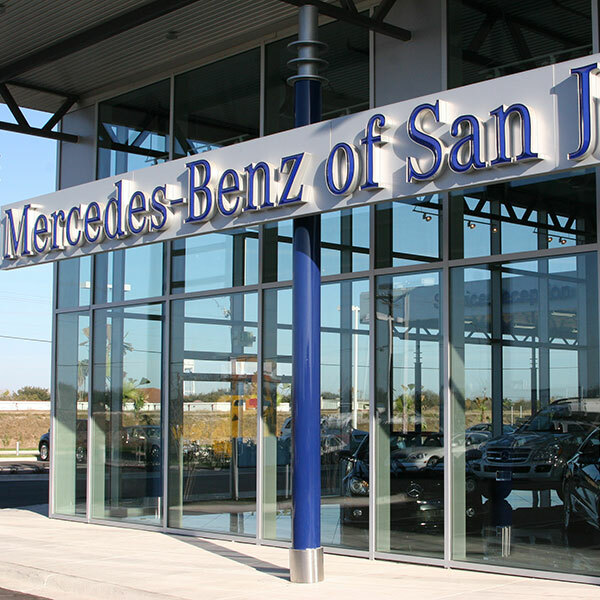 The new Mercedes-Benz dealership in San Juan was built on a nine-acre corn field. The newly constructed building was half EIFS and pre-engineered building. The team installed new offices for staff members with carpet and wood flooring. 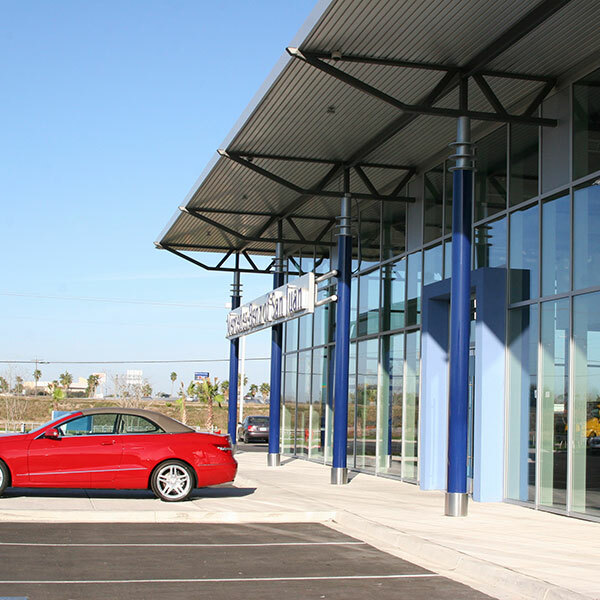 The focal point of the dealership is a show room with a tile floor and three sided store front glass walls that span over 20 feet. A canopy drive thru is color pattern stamped concrete. 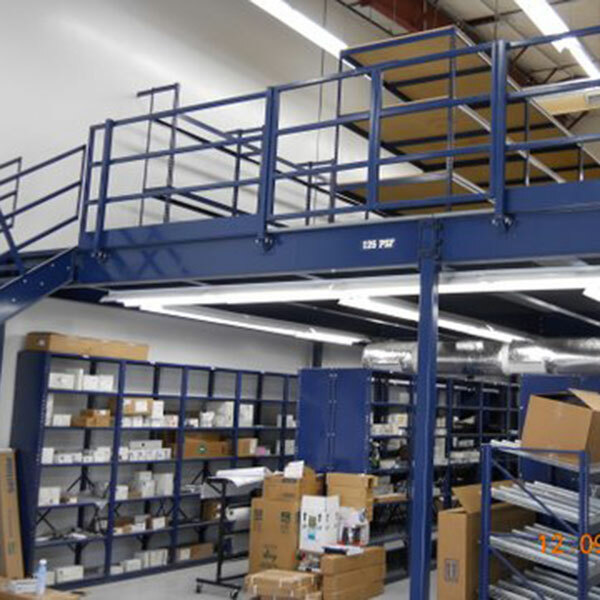 An interior shop includes two alignment bays and 12 car lifts. The dealership also boasts a parts and tool room. A separate make-ready building includes an auto car wash. The team installed an asphalt parking lot along with two retention ponds on either end of the property. Shortly after the team broke ground the project was hit by Hurricane Alex. The storm put construction on hold for a month. The project was faced another scheduling challenge when the area was hit by a tropical storm the following month. The storm resulted in another two week delay. The team worked closely with the project’s owner and the completion date was moved up three weeks. 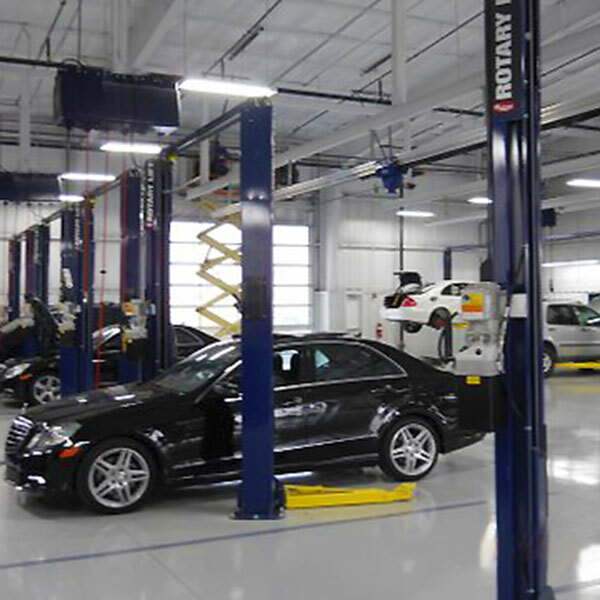 Journeyman worked with Mercedes-Benz to install owner-furnished items that are specific to Mercedes-Benz. The building also includes an interior new car delivery area and custom-painted Auto Has columns. The owner wanted to be able to start selling vehicles by December 17. In fact, substantial completion was achieved a week early.